In My Mailbox is a weekly meme, hosted by Kristi at The Story Siren. I'm really excited about the books I got this week! I can't wait to read Graveminder and The Carrier of the Mark. Awesome mailbox! Wow rally great books this week. Glad you loved Carrier of the Mark, can't wait to read it. Happy Reading! I can't wait to read Forgotten adn Blood Magic ! I hope you'll enjoy all these great books ! Unfortunately I was not a fan of Forgotten. I'll be curious to read your thoughts on that one. Gahh so jealous that you got The Carrier of the Mark! 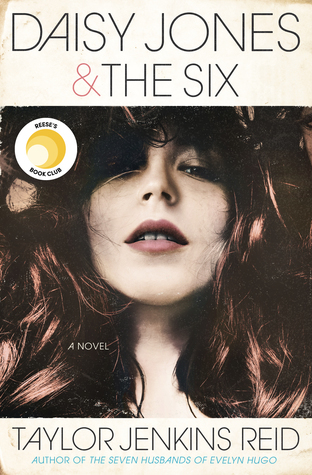 Its on my definite to-read list! Graveminder looks really good too! Awesome books this week. I can't wait to read Uncommon Criminals and The Carrier Of The Mark. Happy reading! Isn't Graveminder stunning??? Even the inside has amazing detail! Your books are on the way! Great lot of books this week! I haven't picked up Heist Society yet, but want to. Happy Reading! you will clearly have some good reading time. Those are awesome looking books. Great set! I can't wait to read Carrier of the Mark. 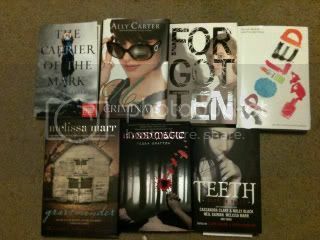 *Happy dance* The Awesome Adicted 2 Novels loved THE CARRIER OF THE MARK!!! Eeeek. I'm dying to read The Carrier of the Mark and Uncommon Criminals :) Happy reading!